Forskolin Review (UPDATED 2019): Is it Good for Weight Loss? Forskolin Review: Is it Good for Weight Loss? 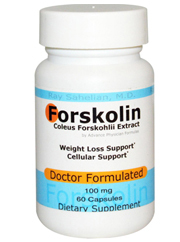 Forskolin can be found inside a plant named Coleus Forskohlii. It has a long history of use for several ailments in folk remedies, though only recently have there been actual studies performed. It was traditionally used in Indian medicine to promote healing in the body. It was also famously used by the actor Matthew Mcconaughey alongside diet, exercise and other supplements for weight loss. It has alleged fat burning properties as well as testosterone boosting traits, due to this it is more widely consumed by men than women. This chemical found inside this plant is alleged to be a new breakthrough ingredient for weight loss, does it live up to it’s own hype? Time to separate fact from fiction. Many manufacturers sell this ingredient by itself and they even add it to their formulas for weight loss. It’s important to note that the stated effects are still not widely known and therefore any promises made by manufacturers for weight loss has not been widely proven yet. 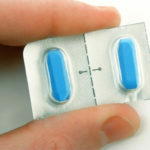 Due to the lack of research on side effects typically there are warnings that insufficient testing has been completed and to talk to a physician before taking. It works by taking root inside blood vessels as well as affecting regions of the heart. Heartbeat then becomes stronger as blood vessels get an increase in width. All this comes together to reduce the rate of blood pressure. Currently work has been done to test the effects on petri dish cells while studies on humans has been limited. According to some this raises the cAMP enzyme in our bodies which then leads to a reduction in body fat. Most of the research done has shown to potentially increase testosterone which in turn kick starts metabolism. Even this research however is limited as there needs to be further testing done. It does show potential in IV form for treatment on heart problems as well as asthma when breathed in. 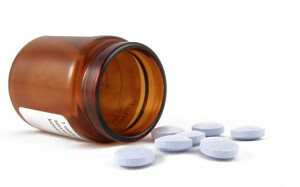 However there is a recommendation to consult with healthcare professionals before administering any dosage. Currently not much is know about this product’s potential effects. Luckily readily available and studied weight loss options do exist. Potential Side Effects:Overtly low blood pressure, flush skin, coughing, tremor, restlessness, stinging skin, throat sensitivity and increased stomach acid. When administered by a certified medical professional it may stabilize heart conditions. An important distinction of this product is that even in areas where this shows heavy use like in India, concentrations of this ingredient vary by huge margins. Due to this it is unknown how much exactly you are getting per yield. Forskolin has an unknown nature of possible long term effects in certain doses, it could lead to potential side effects not yet observed. 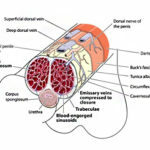 While this product does not yet have enough evidence to back up use, it also does not have much of a stated effect beyond stimulating the heart and blood vessels. It’s important to avoid speculation and instead find real results for weight reduction. A study was performed by a group who sells natural supplements and they claimed it reduced body weight in obese men. However since the study was funded by this company with a stated interest, there is the potential for bias. Another interesting aspect is the effect a ingredient that boosts testosterone may have. When fiddling with hormones there can be a wide array of potential effects that may be unwanted in some. Though the product has gotten a lot of exposure as a weight loss ingredient it currently doesn’t have enough support to validate use. Taking the reported results only makes it seem to work as a way to increase testosterone, this limits it to mostly men who can safely increase their hormones. What makes it hard to sell is the unknown potential long term risks involved. Since it has shown to stimulate blood vessels and the heart it can possibly rewire the way your body works in an unknown way. Also since the study performed that showed weight loss was backed by a company selling supplements like this, it calls into account the strength of these claims. To sum it all up, there’s too many questions and not enough guaranteed results. Forskolin does provide a unique product that may be a future tool for change in the body, but as far as we know there are too many mysteries involved. For studied weight loss products with substantial reviews you do have options available. Instead of jumping on the new best thing you can try out the alternatives that have worked on people. All natural products that can help you on your weight loss journey are now ready for use.